It is important that you keep the status of your request up to date as it let's the service providers know if they should get in touch with you about your project. To update the status, simply click the 'Update Status' link at the bottom of the request. 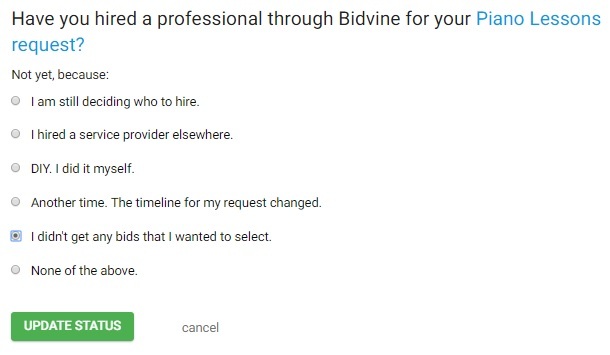 This will open a page where you can either mark a service professional as hired or cancel your project. Once you've selected your option, click update status.